Hello friends!! Spent part of my New Years Eve making a little card for the current PTI Make It Monday: Angled Backgrounds. I don't think I have made a card quite as busy or bright as this one in a very long time and it made me a bit nervous putting it together. However, once it was done I was really pleased with how it turned out. After I decided on what patterned paper to use (Webster's Pages Family Traditions line... LOVE!!) I had to figure out what stamps to use and finally settled on my very neglected PTI Lovely Layers set. I had inked up one of the stamps, but I don't think I have ever made anything with the set! I die cut all the images and then stamped them using Hero Arts chalk inks (Poppy, Punch. Splash and Latte) and Memento inks (Pear Tart). I cut strips of the patterned papers and then adhered them to a cardstock base. As a base for my floral image I die cut some white cardstock using the PTI notebook die. After arranging all the pieces, but not adhering them, I stamped the sentiment in black ink. Once that was done I adhered all the pieces into place and then added the finished piece to the patterned paper piece. My angled background is a bit hap hazard, but I like it! To make each card I started by picking out which stickers I wanted to use. I chose to use stickers from the Scented Garden and Fresh Fields. I adhered the stickers (two of each design) to some thin cardstock (printer paper would work, as well) and then proceeded to trim out portions of each sticker. Adhering the stickers to thin cardstock gives them a bit more support and makes them easier to trim out. Once I had trimmed out everything I adhered each piece using foam dimensionals. I finished off this card by stamping the Penny Black background image Retro Pattern (40-086) on red cardstock using red ink, adhered it to a cream cardstock base and then added my beefed up sticker to the center. 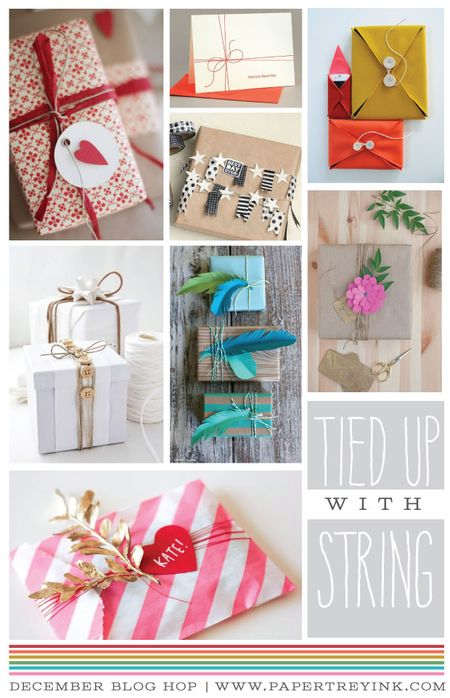 Some twine tied in a bow finished things off. I included a photo to show the dimension that is achieved by layering sticker images in this way. Hello friends!! Hope everyone had a wonderful Christmas! I know my boys did and mine wasn't too bad, either. 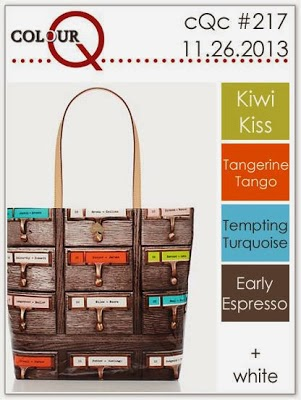 Playing along with the PTI December blog hop, as well as the current PTI Make It Monday... ala carte. There were so many fun MIM challenges to choose from, but I decided to have a go at creating a flocked look with dimensional paste, MIM #113. Working with the dimensional paste was fun, but a bit frustrating... don't even want to say how much cardstock I ruined before I got a piece worth using, lol! I die cut some Rustic White cardstock using the largest Tipped Top die and then a second one from SU! 's Smoky Slate cardstock. I created a stencil using the Circles cover plate and a piece of solid chipboard. Once that was done I used a small offset spatula to apply the fiber paste. I removed the stencil and let the piece dry. The large leaf image from the Harvest Berries set was stamped using Smoky Slate ink and then the berries were added using SU! 's Melon Mambo ink. The sentiment is from the Boutique Borders: Thank You set. I cut three lengths of PTI's cream button twine and tied it round the piece. The Smoky Slate piece was adhered to the kraft card base and then the Rustic White piece was adhered using foam dimensionals. Pretty pleased with how this turned out. "Winter Wreath". My card is very loosely based on the current sketch from CAS(E) this Sketch. 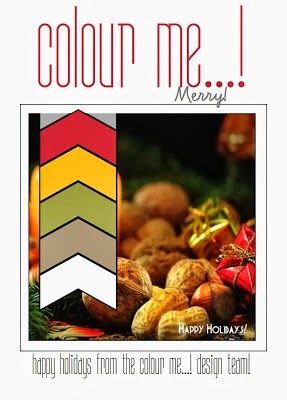 Please make sure you check out what the other design team members created using the colors! Hello friends!! It is Tuesday (and Christmas Eve!) 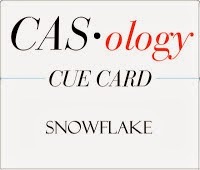 and that means time for a brand new CASology cue word. This post is bittersweet for me because it is my last post as a design team member for CASology. I still remember receiving the private message from Melissa asking me to join her new endeavor called "CASology". I was surprised and honored that she wanted me to be on her design team! The last 18 months (yes... it has been 18 months!) 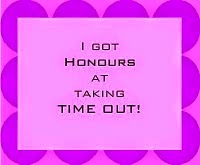 have been fill with lots of fun and fabulous cue words. It has been a joy to work with Melissa and everyone on the CASology team and I will miss being a part of that amazingly talented group... sniff, sniff! Thank you to everyone who left me lovely comments each week (even on my not so great cards... and there were quite a few!). I appreciated receiving each and everyone of them! So that was the bitter part, now on to the sweet... the new cue word! 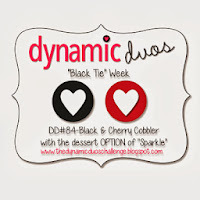 This challenge will run for two weeks so you will have plenty of time to get your "party" on with this one! Yep... the cue word is party! All the details can be found here and we are joined this week by guest designer, Kara! Months ago I purchase a party hat border die from MFT, but had never used it and so this week's cue was the perfect time to break it in. I die cut some fun dotty paper from BasicGrey (Shine On) using the die. 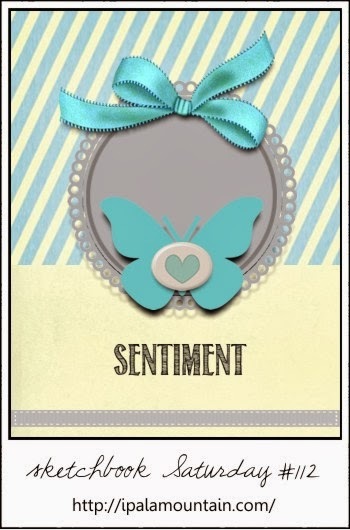 A bit more of the paper was used underneath the sentiment to create a cohesive look. 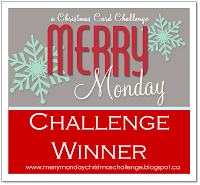 The layout for the card is based on Mojo Monday sketch #324. 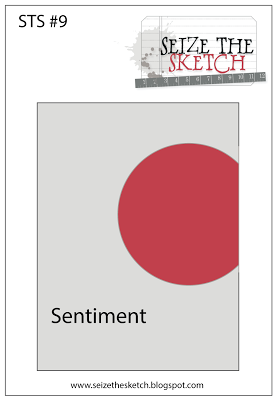 I think this is a sketch I may hang onto as it is perfect for clean and simple cards, as well as more complex cards. The sentiment is from the MFT set Birthday Sentiments. Thanks for stopping by...I cannot wait to see where this week's cue word "knit" takes you! In the meantime make sure you check out the cards from the rest of the design team: Melissa, Judy, Meghan, Ardyth, Gillian, Maureen, Kimberly, Tracey and guest designer, Kara. 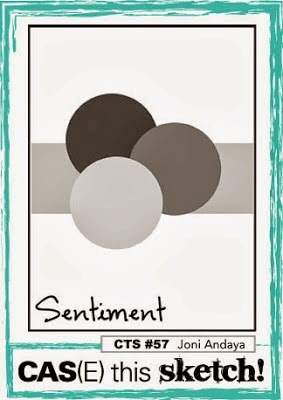 Supplies: Cardstock: PTI kraft; white; PP: BasicGrey; Stamps: My Favorite Things; Ink: Tuxedo Black; Die: My Favorite Things; enamel dots: Stampin Up! Hello friends!! Wow... just a few more days until Christmas and my little guy just can't stand it that he has to wait that few more days! He wants Christmas and he wants it now, lol!! Haven't shared a card in a few days... Mo and Jo left town for a while on a pre-Christmas holiday, but I think they returned this afternoon and I was able to get something made. Not my best effort... Mo and Jo are a bit tired from their trip! 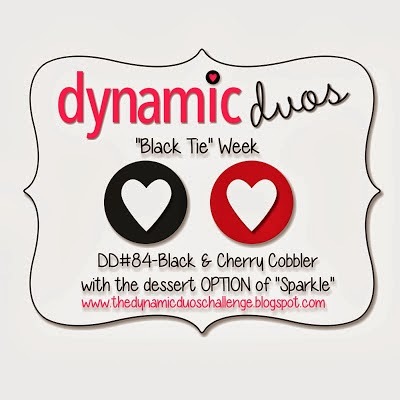 This little number is for the current Dynamic Duos challenge and uses the new Sketchbook Saturday sketch. I recently purchased two sets of Avery Elle stamps during Ellen Hutson's Christmas sale. I inked up stamps from both sets for this card. I stamped the wreath image from "Winter Wreath" using SU! 's Smoky Slate ink and then added the berries using Cherry Cobbler. The bow was also stamped in Cherry Cobbler, trimmed out and adhered to the wreath. I die cut the wreath using a Spellbinders plain circle die and matted it with black cardstock also cut with a plain circle die. I cut the Cherry Cobbler cardstock and ran it through my Big Shot in my woodgrain embossing folder. After adhering it to the card base I added some white lace and then layered on the wreath. The sentiment (from the AE set "Let It Snow") was then added. Hello friends!! Popping in to let you know that I have a post up over on the CardMaker blog with a quick and easy Christmas card that I made. I hope you will take the time to stop by and check it out. Just click here. I'm providing a little peak of it. Hello friends!! Wow.. Christmas is almost upon us! Are you ready??? Not me, ha! Today is Tuesday and that means a brand new cue word. Wow, wow, wow!!! The gallery was crammed full of absolutely STUNNING projects for last week's cue word: snow. This week's cue word knit should bring out the creativity in everyone! No sponsor this week, but we do have the absolutely fabulous Kim joining us as guest designer!! So... this week's cue really had me stumped at first. I know that PTI has a super cute set devoted to knitting, but I don't own it and I don't own many other stamps that feature knitting... except for a few stamps featuring scarf wearing snowmen... so that's where I went! The image from Penny Black is called "happy soul" (4106K). I used some patterned paper from the Teresa Collins Santa's List 6x6 pad that featured the diamond pattern on the top. I cut the piece of paper as you see and then stamped the image. I did a bit of Copic coloring on Mr. Snowman and then added subtle glimmer with silver and black Wink of Stella brush markers. The piece was adhered to a kraft card base and the sentiment (from the Penny Black clear set "the Wonder" (30-040) was added. Thanks for stopping by... I cannot wait to see where this week's cue word "knit" takes you! In the meantime make sure you check out the cards from the rest of the design team: Melissa, Judy, Meghan, Ardyth, Gillian, Maureen, Kimberly, Tracey and guest designer, Kim! Hello friends! I have a couple of cards to share. I don't normally do posts where I have a card for one challenge and then a card for a second challenge, but I didn't really want to do two posts so I decided to combine them. The first card is for the current CAS(E) this sketch. I recently purchased a bundle of BasicGrey 25th & Pine products from Peachy Cheap (they have daily deals... check'em out!). One of the items in the bundle was a pack of die cut numbers (large and small) so I decided to use them for my card. I cut a strip of patterned paper from the 25th & Pine 6x6 pad and adhered it to my white cardstock panel. The numbers 2 and 5 were adhered. A piece of baker's twine was cut and attached to a chipboard sticker from the bundle and then adhered to the panel. A little twine bow finished things off. The sentiment is from the Penny Black set called "Christmas Treasurers". My second card is for the current My Favorite Things Wednesday Sketch challenge. I haven't done one of their sketches in ages, but this one caught my fancy and so I made this little Valentine. I used patterned paper from the PTI Simple Valentine paper pad and the MFT stamp set Homespun Hearts. The "hello" was die cut using the MFT Happy Hellos Die-namics set. I stamped the dots image from the MFT Distressed Background Blocks on white cardstock using light pink ink and then die cut the word. 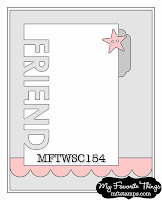 The word was also die cut from pink cardstock and then the stamped word was inlaid into the pink cardstock. A heart was die cut using the Rustic Hearts Die-namics and stamped with the corresponding heart image using dark pink ink. I punched the scalloped edge with an EK Success punch. A pink button and some red sequins finished off the card. Hello friends!! Hope you are having a lovely weekend. Popping in with a quick post to let you in on a little secret that I have been keeping. 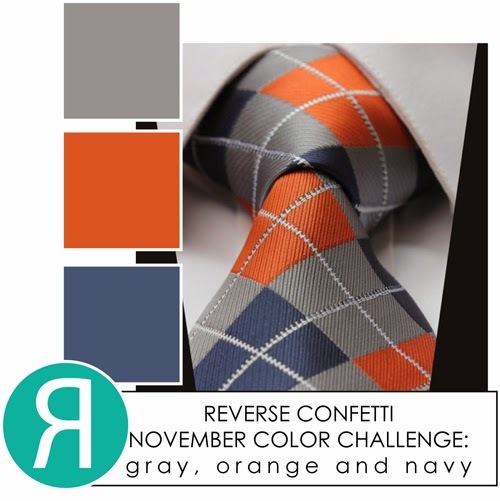 I'm on the design team for a brand new color challenge called "Colour Me"!! You can find out more about the challenge and the design team by clicking here. 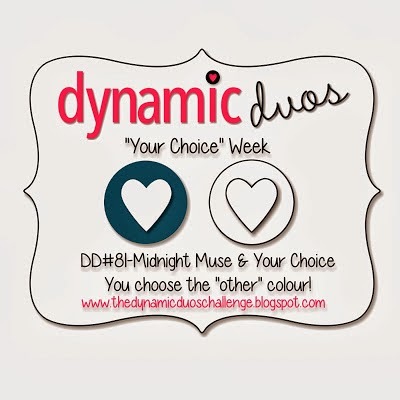 I hope you will check out the challenge and play along with us starting in January! Hello friends!! The rush to Christmas is on! I have been busy trying to get a few little paper crafting projects wrapped up and so far haven't accomplished much... yikes! 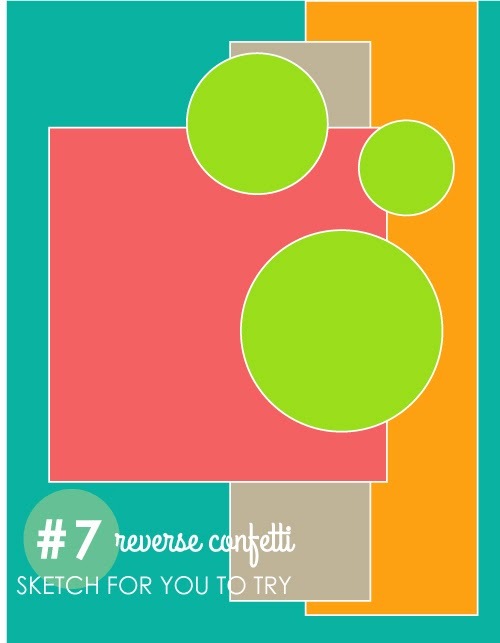 But I had time to make a card for a couple of challenges: ColourQ and RC's Sketch for You to Try #7. Gotta have your priorities, right? 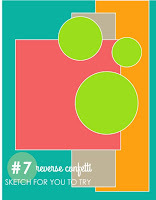 I recently got some yummy new Reverse Confetti... two stamps sets and their brand new Confetti Cut die set Tag Me and I have been dying to use them. Of course their SFYTT was the perfect opportunity. I stamped one of the circle images from the RC set Whole Lotta Dots on kraft cardstock using kraft ink and then die cut it using the large tag from Tag Me. The circular image from the RC set Tinsel n' Trim was stamped in red ink and die cut with a Spellbinders circle die. 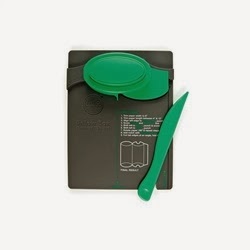 The arrow image was stamped using Always Artichoke and trimmed out. I cut some patterned papers from various manufacturers, layered then and then adhered the tag and sentiments. I finished off the card with a bow tied with kraft and dark green hemp twine, adhered it to the tag and added the snowflake/pearl embellishment. Hello friends!! 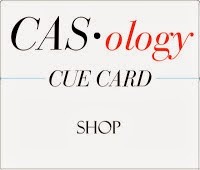 Tuesday is here and that means time for a brand new CASology challenge. 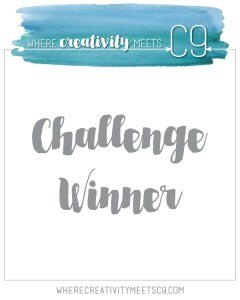 Oh my goodness I cannot believe all the gorgeous projects that were posted in the gallery for last week's challenge!! I know that there will be tons more gorgeous project posted for this week's cue word: snowflake. Once, again, we have a fabulous sponsor. All the details can be found on the CASology blog. Joining us in the guest designer spot is the super talented Lynn! I don't know about you, but I have lots and lots of dies and sometimes I forget that I can do more with those dies than just die cutting. 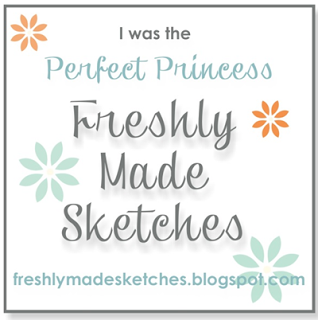 But thanks to a little video put together by the wildly talented Chupa (found here) I remembered that many of them can be used to emboss your cardstock. Using the current layout from CAS(E) this Sketch as my starting point I got out my MFT jumbo Snowflake die and used it to emboss some white cardstock. I stamped the sentiment from the Precious Remembrance Shop set Holiday Wishes in red on white cardstock and trimmed it out. I adhered the sentiment and a little bow tied with green twine and I was done. I love the subtle look created by the embossed snowflake and the way the red sentiment just pops. Thanks for stopping by... I cannot wait to see where this week's cue word "snowflake" takes you! 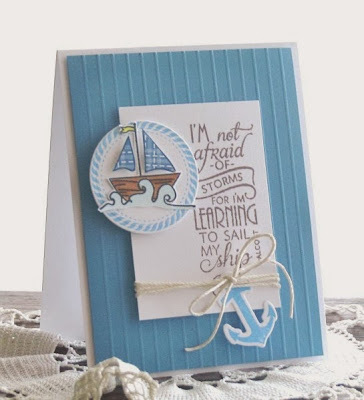 In the meantime make sure you check out the cards from the rest of the design team: Melissa, Judy, Meghan, Ardyth, Gillian, Maureen, Kimberly, Tracey and guest designer, Lynn! Hello friends!!! 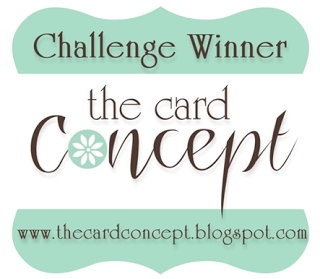 Today the CardMaker blog design team has joined up with the Crafter's Companion design team to bring you a fun blog hop. We will be putting the spotlight on some of Crafter's Companion wonderful products! 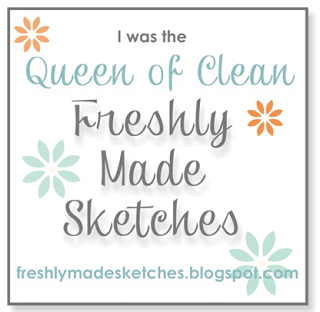 If you arrived here from the blog of Crafter's Companion design team member Leah Lucescu then you are on the right track. If not, then you should head to the CardMaker blog to start at the beginning. 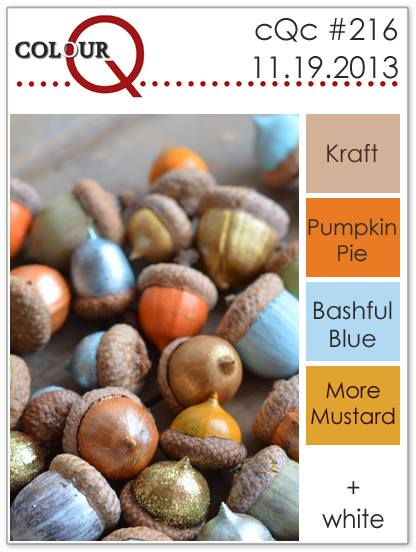 Make sure that you check out the Crafter's Companion Facebook page for the fun giveaway that they are having. 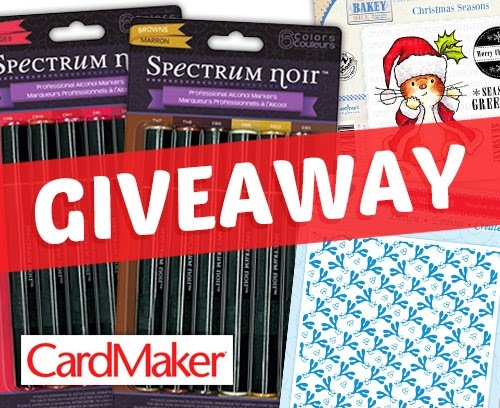 You will have the chance to win one of two prize packs that include a stamp set, embossing folder, two sets of Spectrum Noir makers and a one year digital subscription to CardMaker! 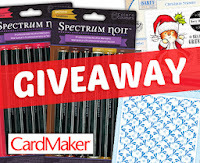 Crafter's Companion generously provided me with Spectrum Noir markers, a fun stamp set and embossing folder. The stamp set is from their Makey Bakey Mice collection called Makey Bakey Christmas. I stamped the image and colored it with the following Spectrum Noir markers: DR1, DR5, DR7, BG1, BG2, BG4, CG1, DG2 & DG4. After I finished coloring the image I added a little bit of glimmer with a silver Wink of Stella marker. I embossed the red and olive green cardstock with the Crafter's Companion Christmas Elegance embossing folder. To finish off the card I added a little fishtail banner on which I stamped the sentiment in black ink. Thanks for stopping by... your next stop is the blog of Crafter's Companion design team member Tenia Nelson. I know you are definitely in for a treat when you visit her blog! 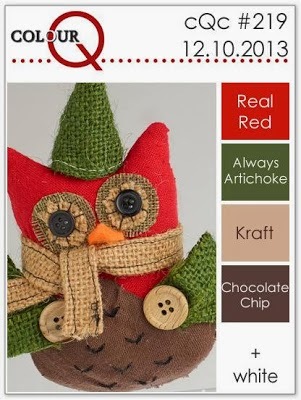 Please also take the time to visit the Crafter's Companion blog for more inspiration! Hello friends!! I have a couple of cards to share today. Both are cards that I made several months ago, but only posted in my Splitcoaststampers gallery because they were made for Verve's monthly sketch challenge. 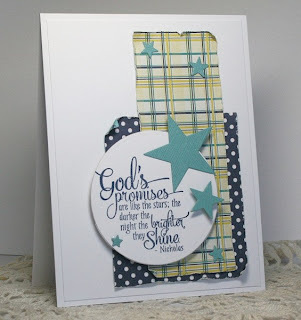 I'm sharing them with you now because this month's Diva Dare over that the Verve blog is to either post a favorite card that you made using Verve stamps in 2013 or create a new card using a favorite Verve set. Because I'm in a bit of a creative funk (again!) and I have other projects that I need to get done I decided to go with the first option and share two cards that I made using Verve stamps that I absolutely love. First up is a card that I made using two Verve sets: Learning to Sail and Strong Anchor. I absolutely love how this card turned out. It just makes me think of a cottage by the sea. I had to fiddle around for a bit to get the boat just so (and did a wee bit of paper piecing, too), but all the fiddling was worth it! The second card was made using the Verve set Shining Star, as well as the matching Stars die. The clean simplicity of this card just makes me happy and that is one reason I love it so much. This was one of those cards that just came together with little effort and turned out exactly as I wanted it to. The other thing I like is how I was able to make the card clean and simple, but give it a bit of shabby edge. Hello friends!! Have a quick little post to share a couple of things. First, I have a post up over at the CardMaker blog sharing a little candle wrap I made. I hope you will check it out here. Second, I have a card that I made using this week's Splitcoaststamper's color combo (gold, yellow and green) and the layout from Sketchbook Saturday. 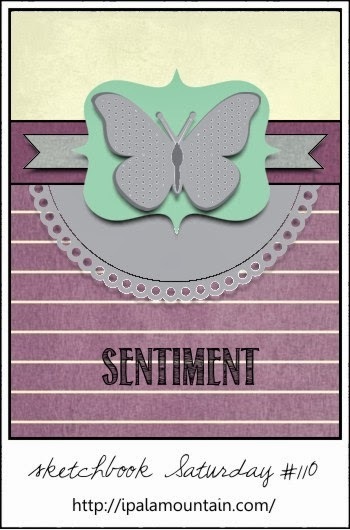 My wonderful friend, Greta, sent me a lovely birthday card and along with it came some butterflies that she die cut using the Penny Black Delicate Wings die set. Thank you, Greta!!!! I have the Soft Wings stamp that matches the dies so I was really excited to receive them. 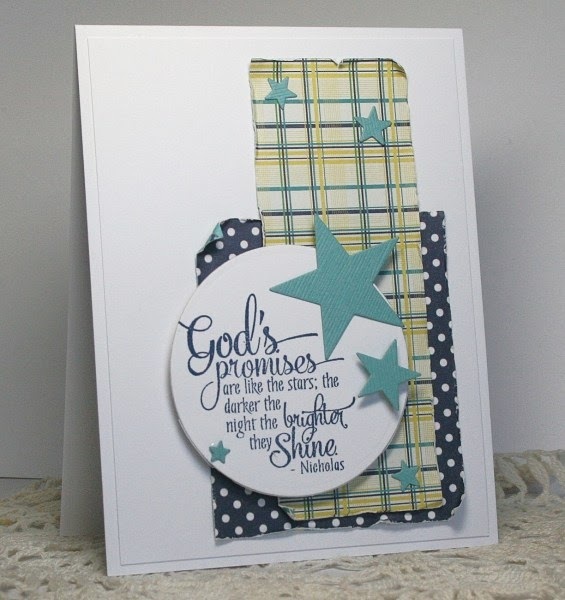 I stamped the die cuts using my Delicata Golden Glitz ink and then adhered them together. I did a bit of die cutting and embossing and then layered up everything per the sketch. Some yellow sequins and green pearls were added to the body. 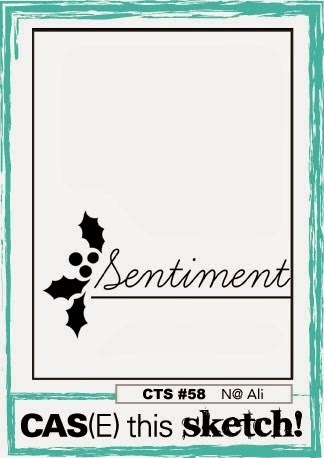 The sentiment is from the Stampin Up! set Blooming with Kindness. I really love this color combo... so refreshing and dare I say... spring like?? Supplies: Cardstock: PTI white, SU! Wild Wasabi; PP: SU! Polka Dot Parade dsp; Ink: Memento Tuxedo Black & Delicata Golden Glitz; Stamps: Penny Black & Stampin Up! 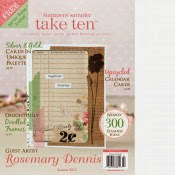 ; Sequins: Ellen Hutson; Pearls: Hero Arts; Ribbon: Stampin Up! Hello friends!!! Tuesday has rolled back around and that means time for a brand new CASology challenge! Lots of fun projects in the gallery for last week's cue word "shop". 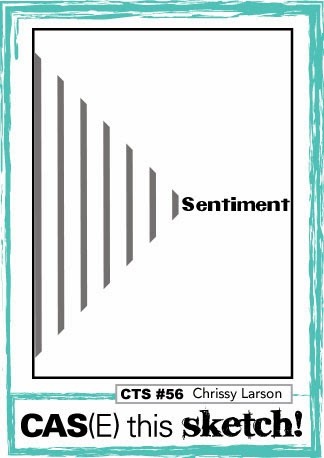 I just know this week's cue word will spark just as many wonderful projects. Say hello to this week's cue word: ribbon. We have another wonderful sponsor this week (all the details can be found here) and joining us as guest designer is the very talented Donna! So... when I saw this week's cue word I was pretty excited because I LOVE RIBBON! I haven't used a lot of it lately, but that could change at any moment, lol!! Over the years I have determined exactly what types of ribbon I love the most and sadly skinny ribbon is not on that list. Skinny ribbon does not make yummy full bows and I love nicely tied bows. I have been known to spend upwards of 15 minutes or more to get my bow just right! So I really wanted to use some nice wide ribbon that I could tie in a big yummy bow, but realizing that this is a CAS challenge I knew that idea might not work. So I went with using a just a small piece of ribbon for my card. 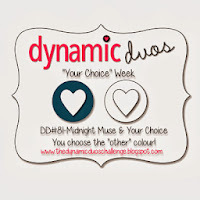 My color combo is based on this week's Dynamic Duo of dark blue and your choice. I decided to go with yellow for my second color. 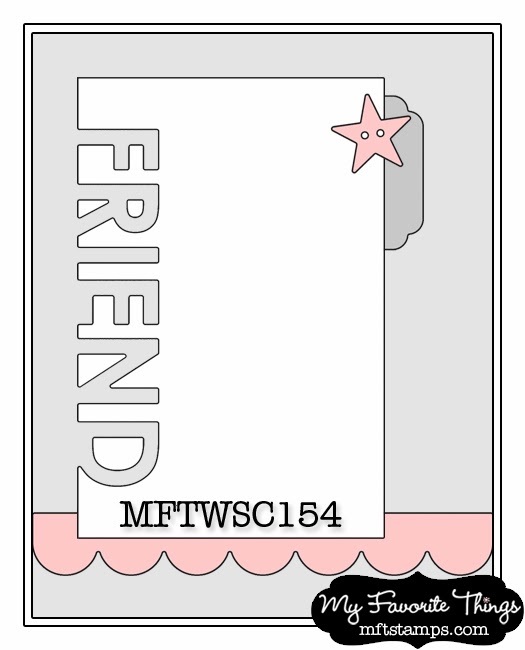 I covered the front of my card base with a piece of designer paper from Stampin Up! that has a subtle pattern on it. The ornament (from the Hero Arts set Ornaments) was stamped using Midnight Muse ink and then die cut with the corresponding die. A piece of yellow and cream striped ribbon (from SU!) was cut, tied in a knot and then the ends fishtailed. That was adhered to the top of the ornament. A snowflake from another Hero Arts set (Decorate Your Holiday) was stamped in yellow, trimmed out, popped up on the ornament and a yellow sequin added to the center. The ornament was adhered to a cardstock piece that I stamped with the sentiment using Midnight Muse ink and then that piece was adhered to the card base. See... you can use wide ribbon on a CAS card, lol! 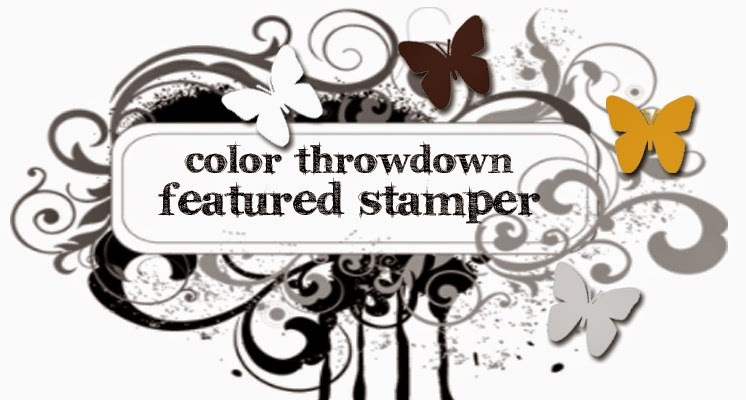 Supplies: Cardstock: PTI Rustic White; PP: Stampin Up! ; Stamps: Hero Arts; Inks: Memento Dandelion, SU! 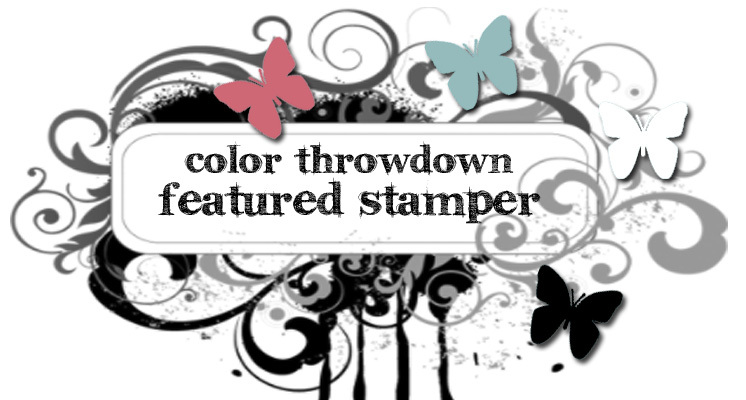 Midnight Muse; Sequin: Ellen Hutson; Ribbon: Stampin Up! Hello friends!! Wow... December is here!! Time sure does fly by doesn't it??? Have a little card to share that I made for Seize the Sketch that uses this week's SCS color challenge combo of Baja Breeze, Delightful Daffodil and Night of Navy. 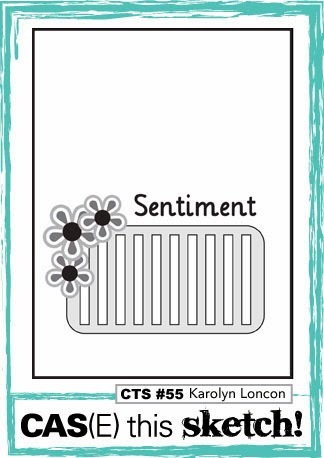 For this card I used the gorgeous Penny Black stamp Warm Wishes, as well as a sentiment from the Penny Black set "banner of joy". ETA: I have never played along with Addicted to Stamps, but I saw that their current challenge is "holidays" so I thought I would enter this in the challenge. I stamped the image using Memento Tuxedo Black ink and then colored it with the following Copic markers: Y11, Y13, Y15, Y17 & Y19. Yellow isn't necessarily a color you see in those huge displays of poinsettias at the nursery or store, but they do come in a nice creamy yellow shade so I'm not too far off, right? Once I was done coloring the image I applied some glue to the center of the flower and added some glass glitter. Once the glue was dry I stamped the sentiment using Night of Navy ink and then mounted the piece on a Baja Breeze card base. Super simple, but I think rather striking.